Total war: Shogun 2, or commonly referred to as Shogun 2, is a turn based strategy gamed developed by The Creative Assembly. 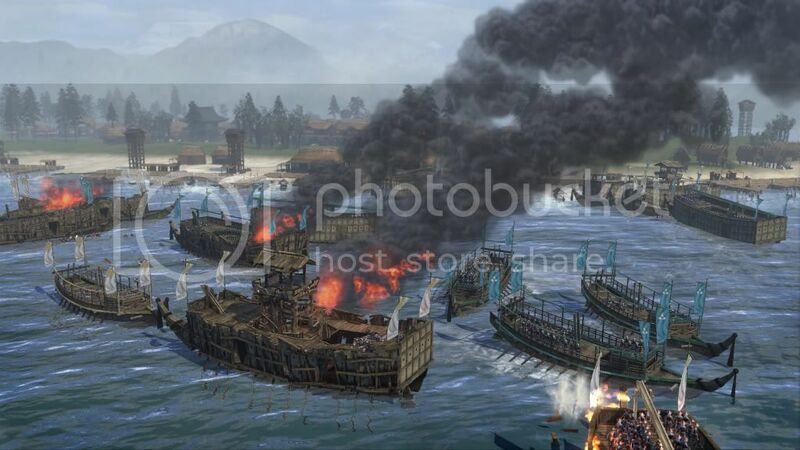 The game builds on the success of The Creative Assembly’s previous games such as Empire: Total War, Medieval 2: Total war and Rome Total War, but adds many new features. In order to complete the campaign, you must lead your clan to dominance in 16th century Japan, in a period known as the Sengoku Period (Period of Warring Kingdoms). This was a turbulent time in Japanese history and there was full scale war through much of the country. As the commander of your clan, you must win glorious battles on land and at sea, engage in diplomacy and use agents in your service in order to dominate japan, capture Kyoto and throw down the weak Shogun and rise as the military leader of all Japan. The Artificial intelligence featured in this game is a massive improvement upon Total War games of old, and the new graphics look fantastic and allow you to immerse yourself into this epic period. 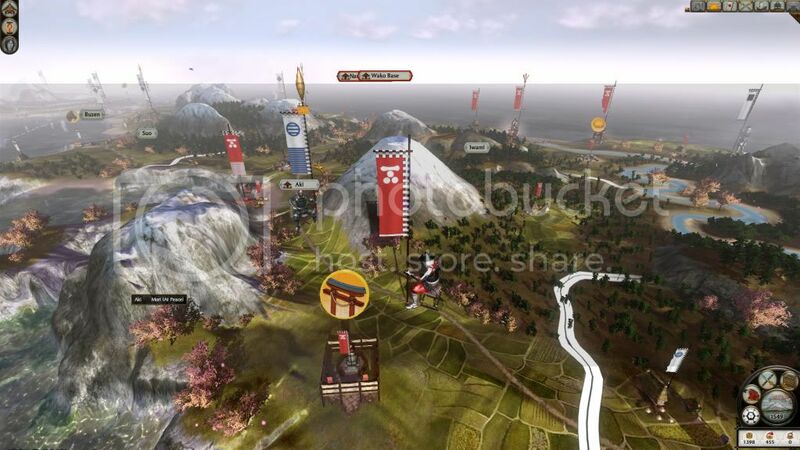 Many new features have been implemented into this games and some include the rotatable campaign map, new RPG skills and experience system for your generals and troops, multi-stage sieges with most commonly more than one set of walls protecting a city and new hero units to lead your men in battle and cut a bloody swath through the enemy. 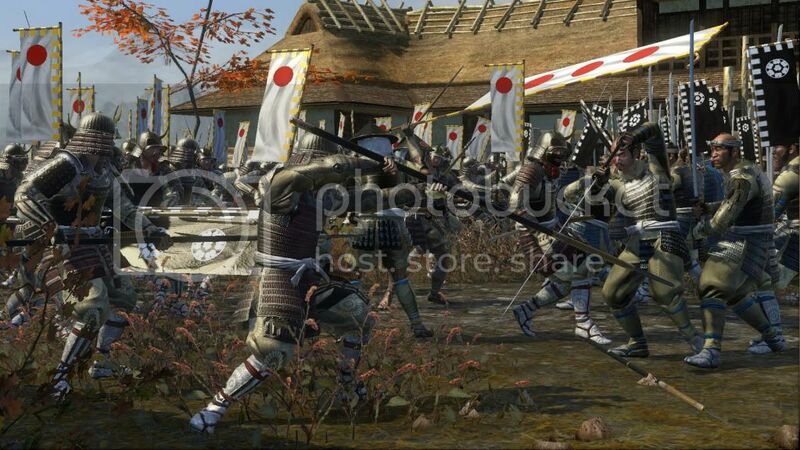 The units that are recruitable add to the ability to immerse yourself in the game as you can recruit the cheap and numerous, but weak Ashigaru(peasant) units, ferocious and skilful Samurai warriors and the dedicated warrior-monks of Japan. Religion also is re-introduced in Shogun 2, with the chance to convert your clan to Christianity, in order to achieve the bonus’s that come with trade from the Nan ban(Europeans) such as improved ships and gunpowder units to frighten your enemy and mow them down with bullets. Another new feature introduced in Shogun 2 is the addition of bonuses to the different clans in the game. These bonus’ are quite historical and reflect the differfeiong skills of each clan in the game. Below is a list of all the factions playable in Shogun 2 and their bonuses they are entitled to. Oda- Improved morale for all ashigaru, Reduced recruitment costs and upkeep for all ashigaru. Shimazu-Increased loyalty for all generals, reduced recruitment costs and upkeep for Katana Samurai, Can recruit superior Katana Heroes, Can recruit superior Katana Samurai. Tokugawa- +2% to the success chance of metsuke actions, Bonus to diplomatic relations, Reduced recruitment costs and upkeep for kisho ninja, Can recruit superior kisho ninja. Takeda- Improved morale for cavalry, Reduced recruitment costs and upkeep for all cavalry, Can recruit superior cavalry. Uesugi- +2% to the success chance of monk actions, Increase trade income, Reduced recruitment costs and upkeep for warrior monks, Can recruit superior warrior monks. Date- Charge bonus to all units, Reduced recruitment cost and upkeep for No-dachi Samurai, Can recruit superior no-dachi samurai. Chosokabe- Increased income from farms, Reduced recruitment cost and upkeep for all bow infantry, Can recruit superior bow infantry. Hattori (after the purchase of the Hattori Clan Pack, or included in the Shogun 2 Limited Edition)- +2% to the success chance of ninja actions, Specialist Hattori units can hide effectively in battle, Hattori Ashigaru and Samurai can deploy anywhere on the battlefield, Hattori generals start with Night Attack ability, Hattori Ashigaru and Samurai units have higher upkeep costs (33% increase). Hojo- Castles are cheaper to build and repair: 10% discount, Reduced recruitment costs and upkeep for siege units, Can recruit superior siege units. Ikko Ikki(after the purchase of the Ikko Ikki Clan Pack)- 8 new unit-variants specific to the Ikko-Ikki clan, New Ikko Ikki Monk Agent with his own specific skill tree. Screenies: Credit for photo's to afty, who got them off sega.. So what needs to be added, changed, included, excluded? Gramma, spelling etc? Below is a list of all the factions playable in Shogun 2 and their bonus’ they are entitled to. Pretty sure bonus plural is bonuses but I can't be certain. The end bit seems a bit like a school paper, and therefore seems out of place. But overall it is much better then a blank page. fixed, just be aware that i was doing this at 11:30 at night so it isnt perfect. For the pics, i am stuggling to make some cool, epic ones to show the game off. Are there any on the site i could borrowsteal? A quick search revealed these screenshot threads. I've been trying to set aside time to read this, but I haven't found it, yet. Soon, though; so I'm going to reserve this space for CRITICISM! Honestly, really appreciate you guys taking an interest in breathing life into the site. Screenies added, thanks bast. When uploaded they can just be place about the overview. quick question: does this count as an article? I would believe, in my opinion, that it would count as an article. I'll have a read over it a few times and see if there is anything else that might be worth adding or amending. Alright let us try this again, the server move ate my last reply and attempt. Should be fine to put this up on the site now though. sounds good. just tell me when its done.. It should be up by the end of today, though it might undergo a few revisions since I have had a few ideas that I am going to try implementing. Largest change should be the embedding of one, or more, Total War: Shogun 2 trailers in to the page. The Shogun 2 Overview page is now complete and ready to wage war in the name of clan Shogun 2 Heaven. I still have a few tweaks to make over the coming days to my Youtube embedding and Total War Heaven's Youtube channel, but apart from that it seems pretty good no? Linky! Looks good! makes the site seem a lot more complete..